In The Force Awakens maakten we in Maz Kanata’s kasteel kennis met een breed scala nieuwe Star Wars personages, waarvan er in deze interviewrubriek al diverse de revue zijn gepasseerd. 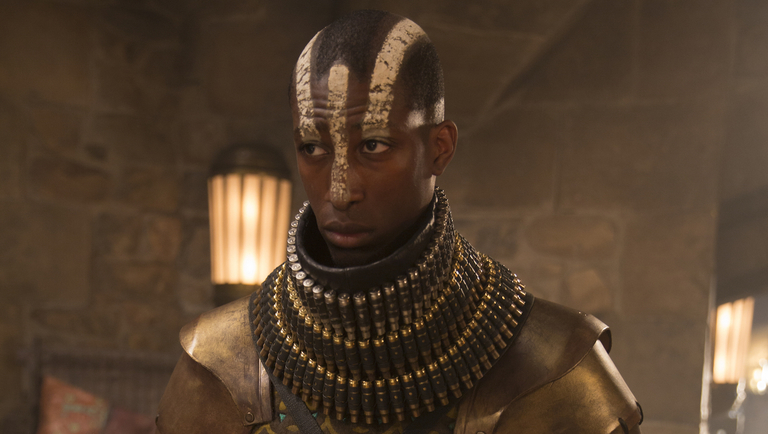 Onlangs kon ik weer iemand die in deze scenes te zien is interviewen: Daniel Adjei, die de rol van Jashco Phurus speelde. Wat zijn Star Wars ervaringen zijn lees je in onderstaand interview! How did you get started in the entertainment business? Was it something that fascinated you as a kid for example? I just kind of fell into entertainment. I did some modelling work during my years of studying film at university and eventually got into extra work that friends had recommended me to. I looked up to a lot of actors growing up and a part of me wanted to use acting as a platform to better my life and inspire people but I never really pursued it. How did you get cast for The Force Awakens? And how did you get the part of a patron of Maz Kanata’s castle? I got cast into The Force Awakens by the absolute will of God haha! The agency I was with had one headshot of me, I hadn’t done much previous work with them but they had my height statistics and I guess I fitted the criteria for a really cool character for the castle scene. The rest is history! When I initially told my friends and family, (I broke the rules on this one as no one was supposed to know as the project was ‘top secret’) they were overjoyed and impressed, everyone was excited that I would be in the film. I guess any friend would be fired up that their friend would be in a movie let alone Star Wars! What can you tell about the filming of your scenes? How did JJ Abrams direct you? JJ was really cool; his attention to detail on set was phenomenal. He remembered all of the extras names which touched my heart, we weren’t just ‘extras’ to him. He loved my costume and he frequently complimented it. The funniest thing that happened on set was an end of day dance off between some of the extras and main cast. I have to say, Daisy has got some moves haha! Main cast members like Daisy Ridley, John Boyega and Harrison Ford were on the set of Maz Kanata’s castle. Did you get to interact with them and what impression did they make on you? John Boyega was cool, we went to the same drama school so it was great to see him become successful, I spent more time with his double than John himself but being in the same set and room with him was always a pleasure. 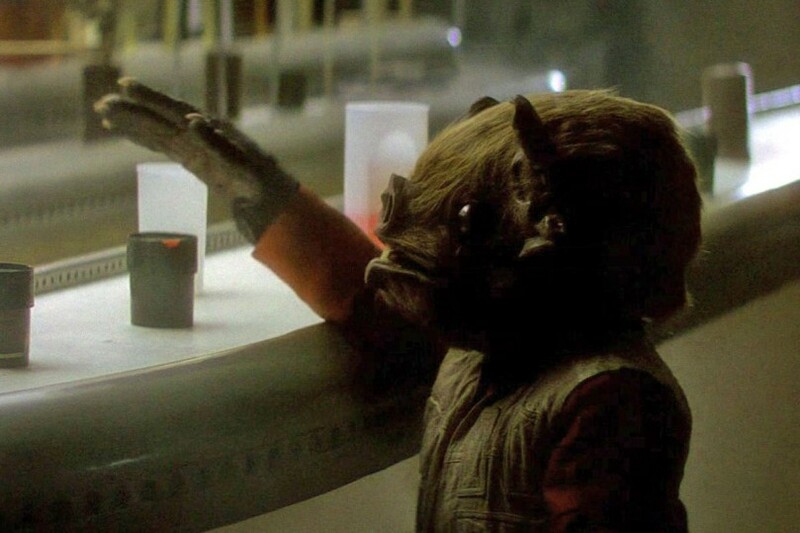 One of the most memorable Star Wars scenes is the Cantina scene from the first movie. In many ways the first scene in Maz Kanata’s palace is a new version of that classic scene. Do you think 30 years from now it will be a classic as well? I absolutely think the castle scene will be a classic. There is such incredible effort, work, design and creativity that went on to make that scene work, the costumes alone are a work of art, I think Star Wars fans will always appreciate this work. 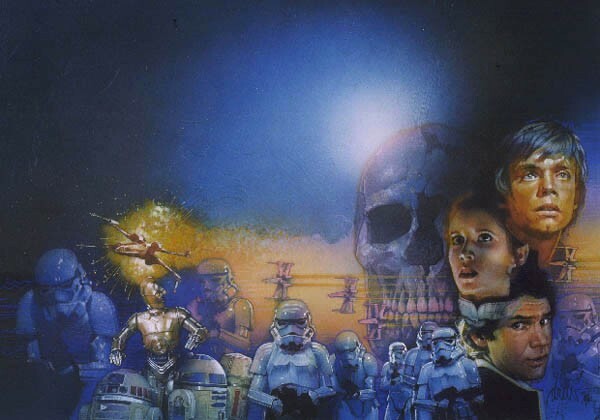 When and where was your first encounter with the Star Wars phenomenon? My first encounter with Star Wars was The Phantom Menace and the pod racing game that came out on the Nintendo 64. I thought the film was brilliant, I loved Darth Maul and two edged sabre, watching that film made me want to get into sword play… or sabre play! Haha! What are your thoughts about the movie The Force Awakens? Did you like the way it turned out to be? I loved the way the movie turned out, of course my main focus was to see myself on the big screen and point out my maybe 2 seconds of screen time to my friends, respond to the anti-climax with the statement ‘that was 2 months of work’ and carry on with the film, but all in all, the film was entertaining, moving and a great episode to carry on the saga. Final question: how do you look back at the fact that you are part of the ‘Star Wars Universe’? I look back at me being a part of Star Wars as a great ice breaker for literally anyone I meet. The conversation always just turns out with me looking cooler than I actually am. All jokes aside, this is an achievement for me. I could hang the cape knowing I got to be in Star Wars and never look back with regret about not taking another role!